Which model is the right one for you depends on the number of rooms you have and your personal preferences. For more than 100 years it has been a proven adage that you can trust Miele and rely on our appliances. We are the only manufacturer in our branch of industry to test products such as our washing machines, tumble dryers, dishwashers and ovens to the equivalent of a long service life. Once a Miele, always a Miele: Miele customers around the world remain loyal to Miele and recommend Miele to others. Looking to the future, we promise not to entertain any compromises when it comes to the dependability and durability of our appliances. A canister vacuum cleaner has the classic shape of a sledge and follows you easily through the room thanks to its smooth-running castor wheels. The weight of the appliance is almost completely on the floor. 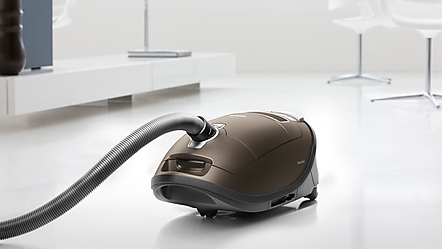 This allows you to comfortably vacuum large areas. Due to their compact design, these appliances are ideal for narrow spaces. Miele stick vacuum cleaners are easily carried and need little storage space. When vacuuming, the user simply pushes the vacuum. 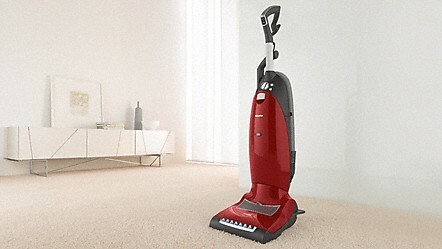 Miele's Dynamic U1 upright vacuum cleaner is the specialist for hard-wearing carpets with a lot of traffic. It can also be used on hard floors because the roller brush can be easily turned off. Like stick vacuum cleaners, you position the vacuum cleaner in front of you. Battery-operated robot vacuum cleaners work completely on their own, even when no one is at home. With cameras and sensors, the Miele Scout RX2 recognizes the room and all obstacles. Thanks to systematic navigation it works thoroughly and efficiently, even in rooms with lots of furniture.